Love it! It seems like a map to me! Where the flowers are the pins to mark the places where you have shot! :) Simply beautiful! Nice work! Damn. I absolutely love this. 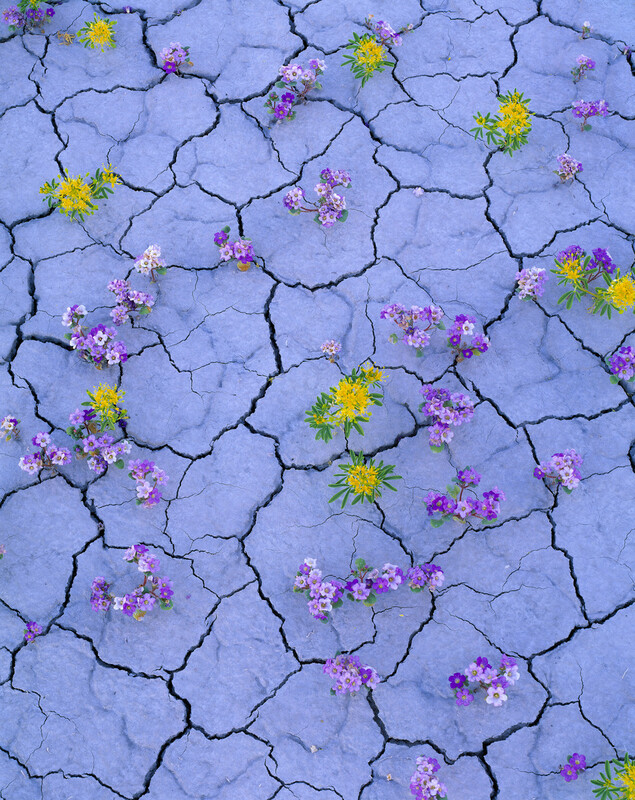 The chosen color palette is wonderful, the arrangement is great, and the beauty of the contrast in the cracked hard mud vs the living softness is amazing. Well done.